Click here for all articles written by Lee Ness. The 100m is usually the Blue Riband event of any track meet because it is the Blue Riband event of the Olympics. Being the fastest man or woman on the planet is arguably the ultimate accolade in athletics, but is it the ultimate race? Supporters of other distances might argue for their event, but the 400m is the only race that requires athletes to master every aspect of running. That’s why, I believe, that the 400m is the best running event on earth. To be successful in sprinting requires adherence to near-perfect biomechanics and physics. There are slight variations between athletes but no exceptions. Like the other sprint events, you can only run fast if your adherence to the technical model is excellent. Unlike other non-sprint distances where you can see various techniques and styles, sprinting only has really one style. Perfection. 400m is no exception. A 400m sprinter has to have the explosive start out of blocks typical of all sprinters. They have to have the explosive power to drive through the first 50m hard, similar to a 200m runner. In terms of power training there is little difference between the 400m and 100m runner. 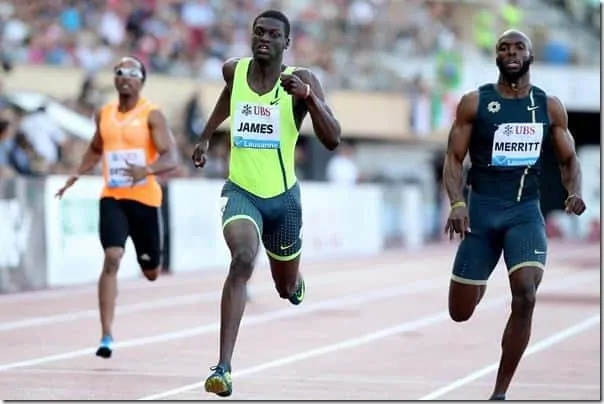 The 400m sprinters must have extremely good speed endurance, Anaerobic capacity and anaerobic power. 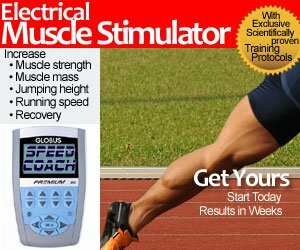 There are many other articles on this site that cover this, but no other event in track and field requires the same levels of speed endurance and anaerobic ability. Most coaches of 400m sprinters will train for speed reserve. In simple terms, the faster you can run, the faster you will be able to run the 400m. A 400m sprinter can hold their own over all the sprint distances, 200m, 100m even 60m and would be able to do the same over 800m as well. 400m sprinters can’t rely on the anaerobic system alone in the same way the shorter sprinters can. They must also have very good aerobic capacity, even though they may not be using it for long. Most sprint races, unlike the middle and long distance races are won by the person who is fastest. In other words, there is very little in the way of race tactics or strategy involved that is affected by what competitors are doing. In a 100m and 200m, you run as fast as you can and the fastest man or woman wins. However, in the longer 400m race, not only is it run fast, there are variations in how the race can be run. Athletes have to be aware of their competitors and respond to them. Additionally, the indoor 400m also includes a lane break, the only individual sprint to do so. Finally, the 400m, arguably more than any other distance, puts the athlete’s body through torture. Not the sustained chronic pain of a longer distance race, but the acute agony that kicks in once the lactic system is overwhelmed. At this point it is an absolute mind over matter situation for the athlete who must continue to sprint against every fibre of his body telling him or her to slow down. While other races have some of the features described above, no other race has all of them. Using all energy systems at once, the technicality of the start and the running mechanics, the race tactics and strategy and the mental torture of the mind versus the body. This is why the 400m is the best race on earth. In my next article, I will explain why the best race on earth, is currently the best show in Track and Field because of two titans, battling for supremacy. READ Sub 10 100m vs Sub 4 Minute Mile - Which is Harder?